When it comes to the best Car Air Fresheners for women/guys, the market has expanded greatly during the last few years. And we now have a confusing array of different scents and air freshening methods. This market used to be dominated by the ubiquitous pine-shaped, pine-scented air-freshener dangling from the rear-view mirror! 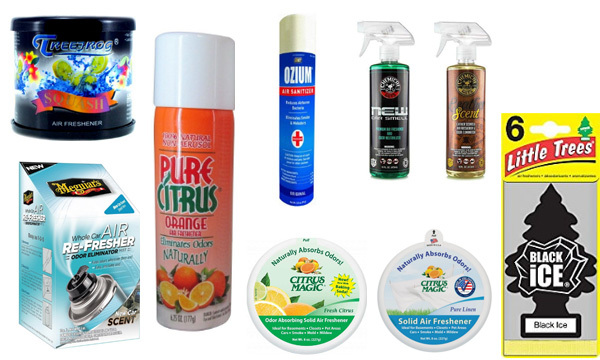 But now there’s everything from all natural citrus and baking soda, to industrial, glycolized disinfectants on offer. 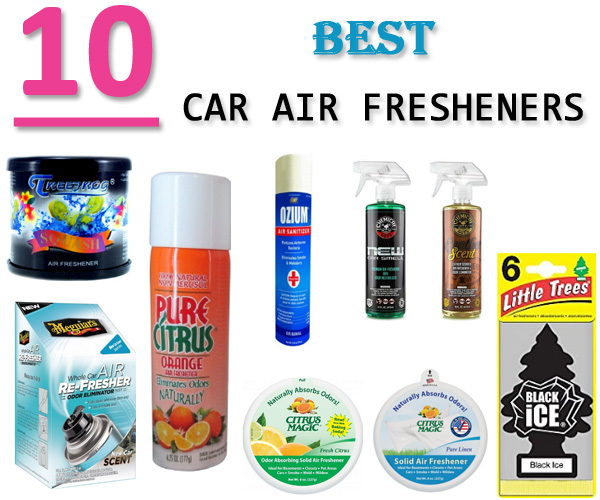 Opinions vary about which car freshening method is the most efficient, and there are several types included in our Top 10 Best Car Air Fresheners for Women/Guys. From Japan, the Treefrog brand offers a water-based gel, in a tub that fits neatly into the cup-holder. For more serious car deodorizing jobs, you can buy a one-use can that you open and leave in the interior for 15 minutes, whilst you wait outside – a good time to wash the exterior! So to make your driving-time a more relaxing and pleasant experience, whether you’re doing a supermarket run, acting as a taxi for your kids or doing the daily commute, here’s a focused list of the Top 10 Best Car Air Fresheners for women/guys! Car air fresheners are often marketed towards women or men and this Chemical Guys pack is aimed at the male market. There are two x 16 oz. 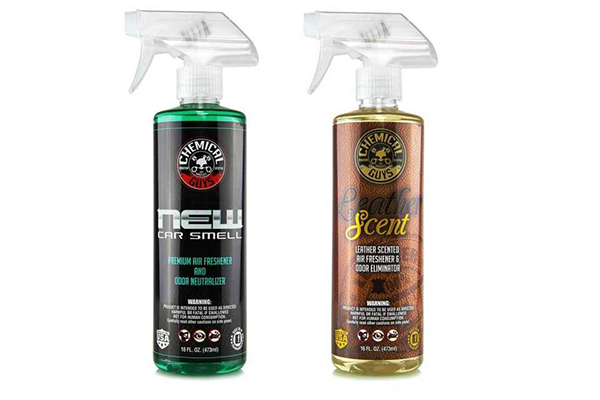 spray bottles containing 1) New Car Smell and 2) Leather Scent auto air fresheners and odor eliminators. The liquids are shipped in concentrated form and can be diluted with distilled water to make up approximately 2 gallons of car air fresheners, making this a very economical product! As a water-based fragrance, it won’t stain car upholstery or carpets. Users liked this product, which they say works and has a subtle, but evident, fragrance and even removes the smell of mold. Review of Car Air Fresheners – This is a solid block auto air freshener that imparts a fresh, citrus fragrance and contains baking soda to absorb air-borne smells for up to 6 weeks. 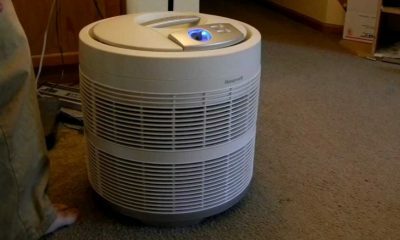 It’s a multi-location product that has a lot of fans amongst pet-owners who want to rid their home or car of unpleasant ‘wet dog’ and smoke smells. People like the fact that all ingredients are natural and non-toxic, that it has a large surface-area actively absorbing odors and removing them from the air. Appeals to those who don’t want a synthetic cheap perfume smell or an odor coverer! 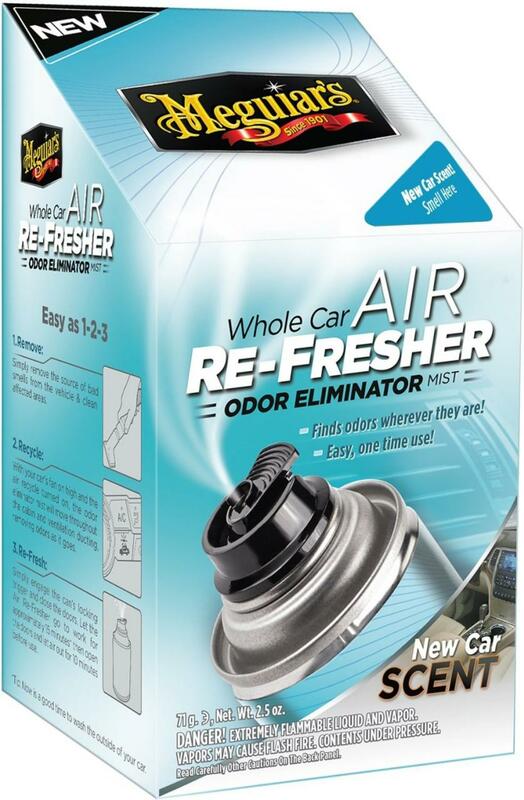 This auto air freshener’s aimed at those who need a serious odor eliminator, at an economical outlay. Should appeal to anyone who drives a taxi or needs a professionally fresh and clean car. This comes in a handy aerosol-can and claims to leave a ‘pleasant, new car scent’ after use. The ultra-fine spray can is left inside an unoccupied car for 15 minutes, with the ventilation system on. 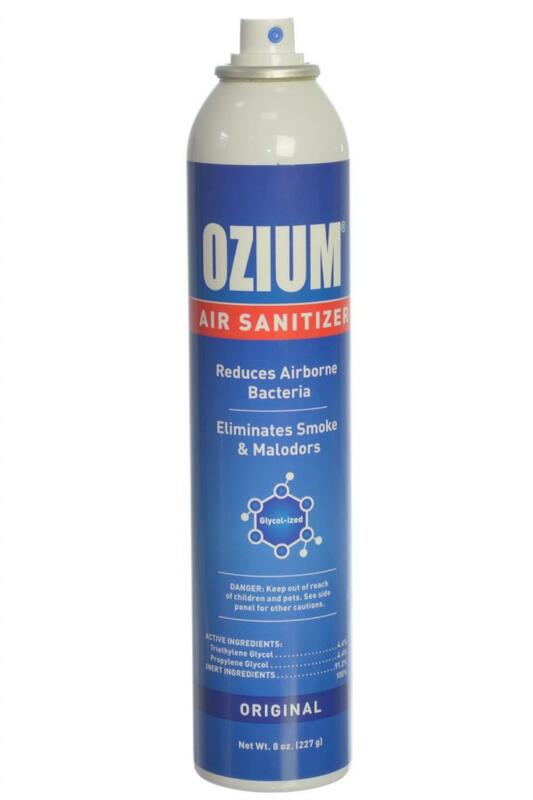 Reviewers with old and stinky vehicles say it works great as a super-strength odor eliminator and continues to keep the air fresh for months. Cheap to buy and very effective. Here’s another spray air freshener for cars that is aimed at those who value eco-friendly products. It is made from 100% fresh vanilla oil, according to the label, and is a non-aerosol spray which contains no synthetic chemicals. Testers really like the smell and say it eliminates odors quickly, including smoke and wet dog. Some people said they prefer the Pure Citrus Orange scent in this product range, but Vanilla is a more subtle fragrance than citrus, so it’s down to personal taste. Consumers consider it good value for money and say they will continue using this brand. This is really a cool car air fresheners! 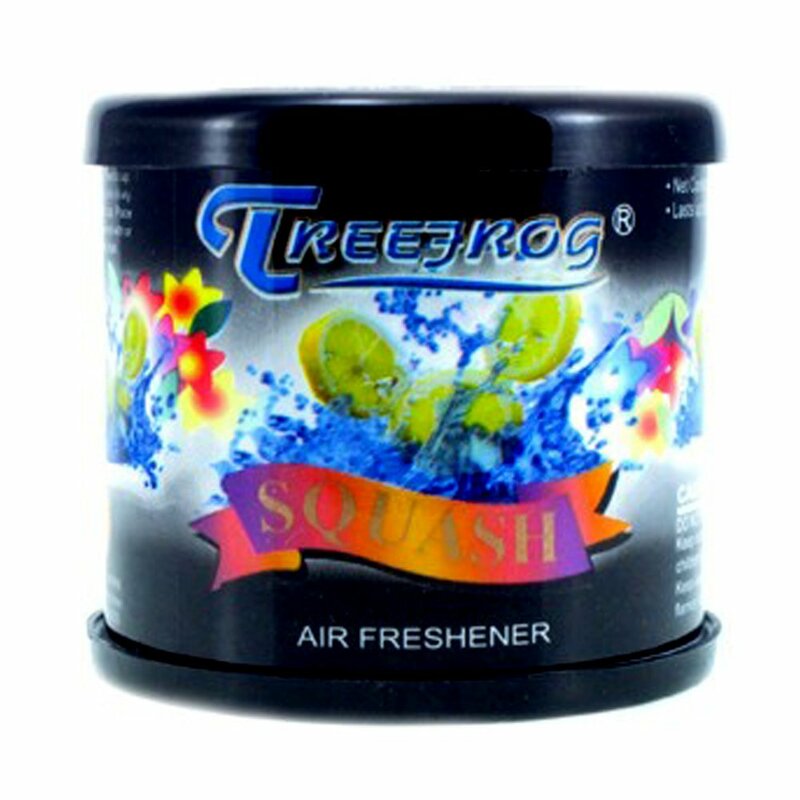 Treefrog is a trendy brand-name and the Squash auto air fresheners are obviously packaged to appeal to younger consumers. This is a gel, water-based car air freshener that comes in a brightly colored tub. You remove the lid of the tub to get the air-freshening effect. The fragrance was very, very popular with those who tried it and they liked that it’s an eco-aware, natural product. Unfortunately, a high percentage of users say this gorgeously fragrant air freshener just isn’t strong enough to fill their car with scent and deodorize it. Economically-priced, but you probably need to use two per vehicle to get the full effect. This line of air fresheners for cars is more serious in its approach and claims to sanitize the air, ‘combating’ smelly bacteria and germs in hospitals. It also promises to eliminate the smell of tobacco smoke. Customer love this product as a home, office and car air freshener. It’s an industrial disinfectant containing, tri-ethylene glycol and propylene glycol, that’s been top of the air-sanitizing market for quite a few years. This does not have an overpowering flower or fruit fragrance, but many users say it’s their favorite for dealing with very strong odors and leaves a ‘clean’ smell. Here are 24-packs of the familiar dangling fir-tree air fresheners for cars updated with what’s described as an ‘adventurous, masculine’ fragrance by the company. Apparently it used to be a spicy smell, but now it contains more cinnamon, which most users enjoy and prefer to floral perfumes. Some users comment that it only lasts about 3 days in their vehicle, other say it lasts 7 – 10 days, but think it doesn’t last as long as it used to. 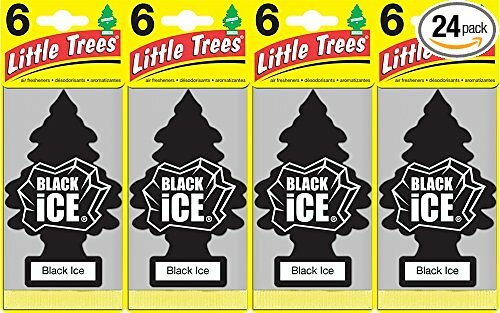 On sale in 4 x 6-packs on Amazon right now with some discount, this is still a best-selling item amongst other auto air fresheners. 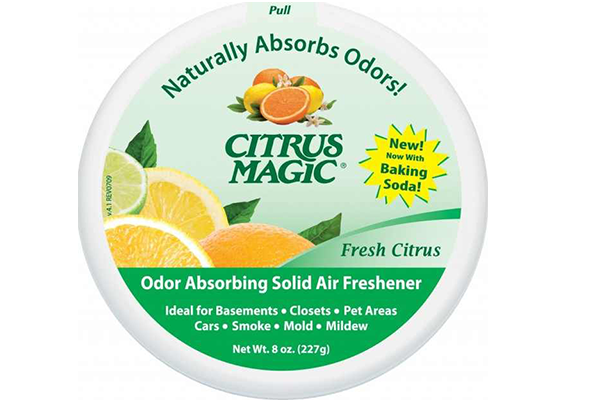 Here’s another fragrance from the popular Citrus Magic range of solid car air fresheners. Pure Linen is a product that emphasises the feeling that your vehicle is clean inside, with a smell that’s similar to freshly laundered clean cotton sheets. Users also say it lasts longer than other auto air fresheners and can be tucked away under the back seat for about 6 weeks. The main advantage of the Pure Linen air fresheners for cars is that it’s a great odor remover. All users say that it’s good for people who are sensitive to chemical perfume smells, as it doesn’t have a strong fragrance, and what you notice most is the absence of odors! This is an amazingly effective product, for use as a wide variety of intensive smell-removal tasks. 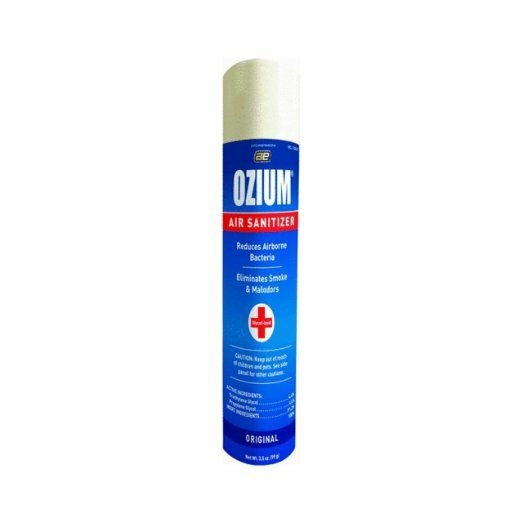 The Ozium Original scent is a pleasant cinnamon fragrance with a touch of ‘soap’. 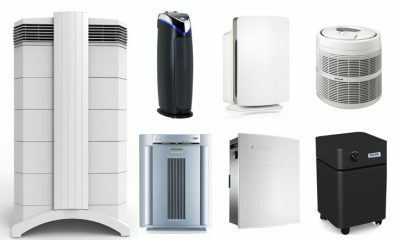 Users only use a small spray to get a complete air cleaning and deodorizing action, making this great value. 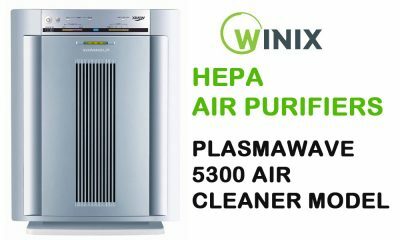 This is a glycolized product, so it encapsulates bad smell particles in glycol and removes them from the air completely. 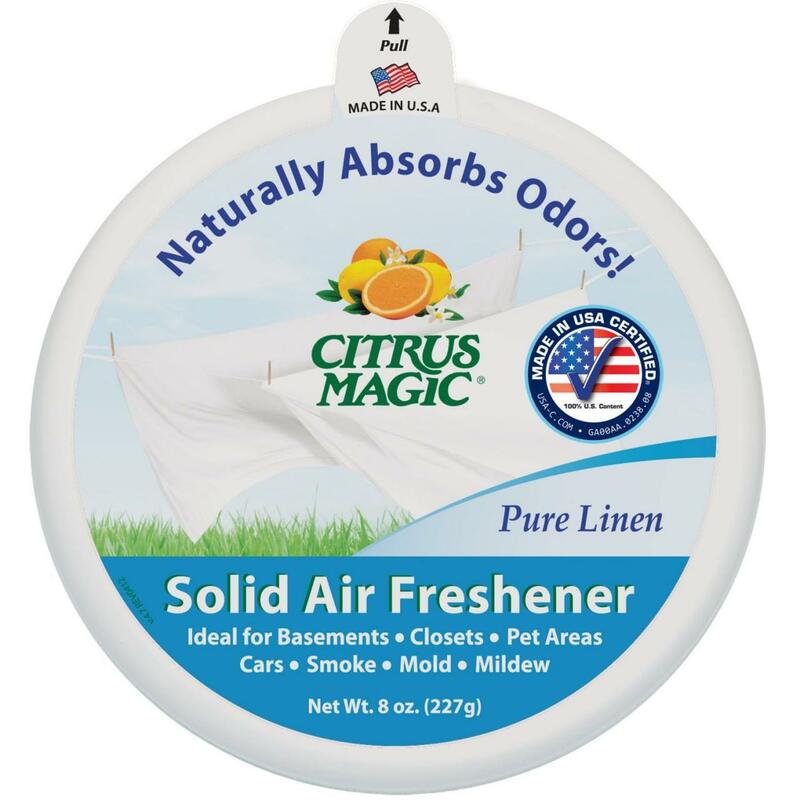 A favorite for removing the smell of smoke from home or vehicle. Highly recommended by a wildlife charity president who keeps rescued wild skunks in her basement, before being re-released into the wild! All of the natural orange-oil air fresheners for cars are very popular and it would seem that as a group, we all love the smell of oranges in the air around us! 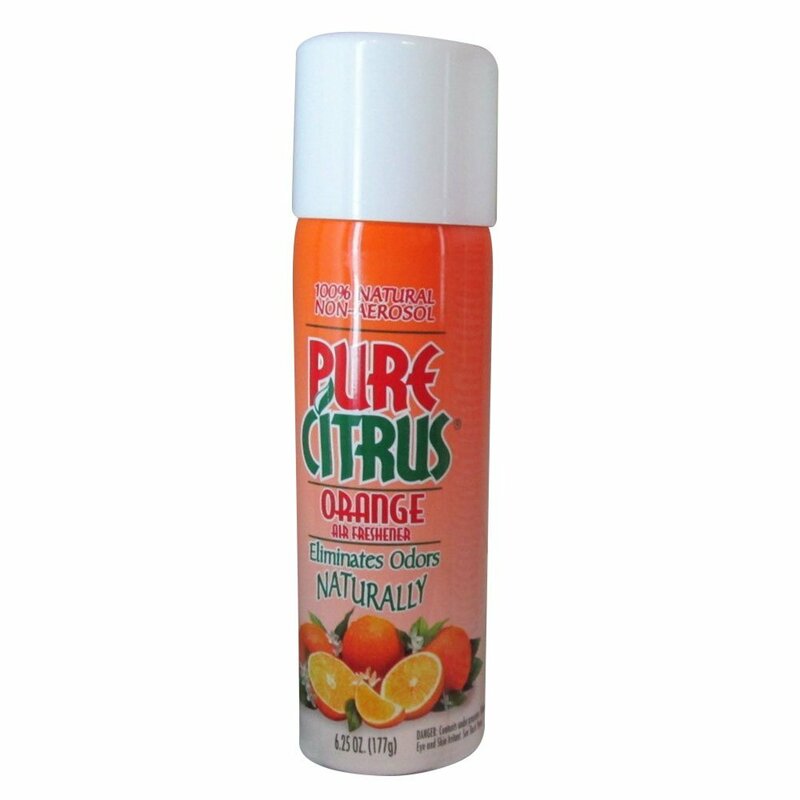 This is the spray version of the Pure Citrus solid block air fresheners for cars detailed above. This is the most expensive product in our range, but users have given this all-natural, air freshener 5-stars in our company. It does not contain any man-made chemicals, or have a heavy perfumed smell, making it a healthier product to be spraying around small spaces and the very best choice for people who have allergies! All these car air fresheners are available at walmart, if you don’t want to purchase them online, you can go the stores to find your favorite one!